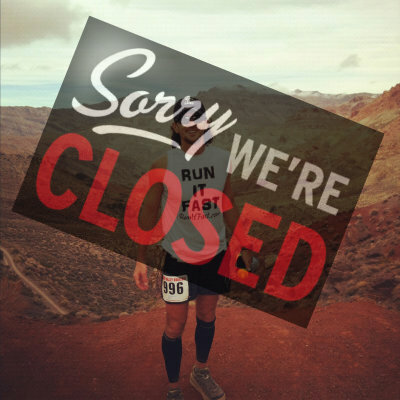 Tag Archive | "Chris Kostman"
We posted last week a hypothesis of why we thought Death Valley National Park might have ceased giving permits to running and cycling races within the park without notice/warning/discussion. Our story gained national attention and created a honest and, at times, hotly debated discussion as to why this might have happened. We believed that after radiation readings in the park tested extremely high 4 weeks ago that it might have been enough to sound an alarm within the park chain of command to cease permits to look into it more closely. Death Valley National Park superintendent Kathy Billings has finally and officially responded to her reasonings as to why she made her decision. You can read her full letter of explanation by clicking HERE. She states over and over in the letter that it’s about safety and park safety. Billings says there has been several close calls with spectators and motor visitors to the park on the road and highways. We, here at Run It Fast, believe that 1. radiation education and the high amounts since the Fukushima meltdown are very important and 2. that transparency from government agencies is extremely important. We are glad that Billings finally came forward to at least provide an explanation for her decision. She might be late to explain her decision but finally we have some transparency from her as to why. As we initially stated, transparency serves everyone best. If in fact Billings explanation is the true explanation then her decision will likely be overturned unless she has a pure vendetta against either AdventureCORPS, Kostman, or endurance sports. Is her answer/explanation still too vague? While we are still devastated by Billings decision, we are glad that she finally came forward to at least offer an explanation. The REAL Reason Death Valley National Park Has Suspended All Endurance Races? AdventureCORPS Website in Response to DVNP’s Decision: AdventureCORPS and Chris Kostman have hosted 89 events since 1990 under DVNP special event permits without ever being refused a permit by DVNP, the Department of Transportation, or Inyo County. There have been no deaths, no car crashes, no citations issued, and only a few evacuations by ambulance after literally millions of miles covered on foot or by bike by event participants. Death Valley National Park is host to most famously the Badwater 135 Ultramarathon, along with The 508 (cycling), CORPScamp, Death Valley Trail Marathon, and several other endurance sports. So why all of a sudden, out of the blue, would Death Valley National Park immediately suspend all running and cycling activities within the park without any warning or discussion? The one word possibility – RADIOACTIVITY. EnviroReporter, Michael Collins, tested the radiation at Furnace Creek in Death Valley National Park on November 23, 2013 (video below). He measured the radiation at Furnace Creek at an astonishing 31.5x background via a water sample. Collins did tests over two days at varying spots across Death Valley. They read anywhere from 26.7x to 31.5x background. It’s one thing for DVNP to let events proceed as normal with runners signing waivers from killing themselves in extreme heat, but it’s quite another to allow endurance athletes to inhale extremely high levels of radioactive air and dust for hours and days on end, with the dangerous possibility of said runners developing leukemia, thyroid cancer, or any cancer or damning health issue. It would truly be horrible and devastating. Also, lawsuits would rapidly pile high in judge’s chambers from San Diego to Susanville and everywhere in between against DVNP and the government for (1) knowing of the radioactivity, (2) not disclosing it, (3) not taking extra precautions to protect the health and safety of citizens within the park. Naturally, endurance athletes (in these great Death Valley races) would consume massive amounts of oxygen and dust filled with radioactive particles. Excessive exposure to extreme radiation for several days is a good bit different than Johnny B. Citizen’s one day journey to the park to take photos of the beautiful landscape of Death Valley. Exposure in both cases though is dangerous. It’s a lot easier to deny a permit to race directors than to shut down the entire park to every tourist in the world. So when you re-read the wording from DVNP about no race permits, “…until a thorough safety evaluation of this type of activity,” one may be able to piece together that something far more serious is happening than just the DVNP being cruel to ultra-runners. Perhaps DVNP is actually doing tests and homework to see what type of harm can be caused by athletes being exposed to high levels of radiation in endurance events over many hours and days. They might also be running scenarios through it’s team of lawyers to determine what they can and should do to prevent potential lawsuits and liability. Kostman eloquently stated in his response to the devastating news that there has been no deaths or serious health issues from any of the races that AdventureCORPS has held at Death Valley since 1990. If there is extremely dangerous radiation levels currently in the park poisoning the air, dust, and water that likely could persist for some time. Kostman has likely been left out in the cold and hasn’t been informed by DVNP officials of the exact reason. He comes across as sincerely befuddled by it all as would most of us after being blindsided out of the blue after many successful years hosting races in the park. The radiation exposure and spike in California is of grave concern. For months those that were sounding off the dangerous siren regarding Fukushima were considered crazy or fearmongers. Fukushima is an epic disaster that is eventually going to poison all of us in one way or another, directly or through the water we drink and food we consume no matter what coast we reside on. Politicians and communities along the West Coast are finally waking up to the dangers from the Fukashima reactors. The resolution was signed by Fairfax’s mayor, John Reed, on November 6, 2013. Fairfax is northwest of Death Valley. The radiation news coming out of Japan is not getting any better. It’s progressively growing into an even bigger and unsolvable problem that is killing ocean life and dropping radiation bombs all over the United States, mostly on the West Coast and California, but all over the country in different spots dependent upon various weather patterns. Just today in Japan, TEPCO detected record radiation at reactor #2 of 1.9 million becquerels (bc/liter) up from the previous high of 1.8 million recorded just days ago on December 13th. 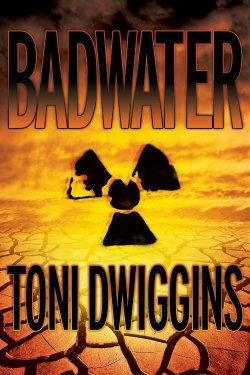 There is even a fictional book titled Badwater that is based on the theory of radioactive material being in Death Valley. From the book cover: Forensic geologists Cassie Oldfield and Walter Shaws embark on a perilous hunt–tracking a terrorist who has stolen radioactive material that is hotter than the desert in August. He threatens to release it in America’s most fragile national park, Death Valley. Running and endurance sports are an addiction and a lot of fun to many of us. Most of us have been inspired by other runners and in turn have inspired many others to take up running and endurance races. I’ve applied to run Badwater the past two years and likely will try once again in February to get in to this prestigious race. However, running and many other things become silly when extreme risks, like running in a radioactive hotbed of potential health issues become an added risk factor. 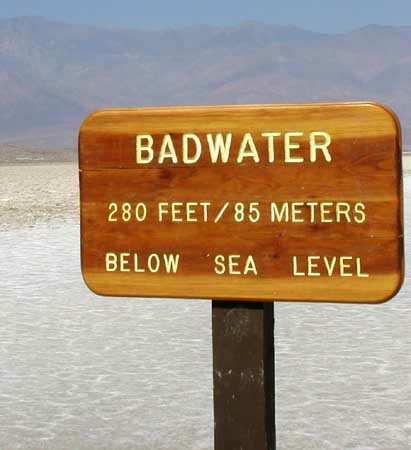 Is Badwater…….truly radioactive bad water, dust, and air? I hope not! I hope the correlation I’ve tied above is totally not the reason and coincidental. I want Badwater to resume in July like it has for dozens of years. 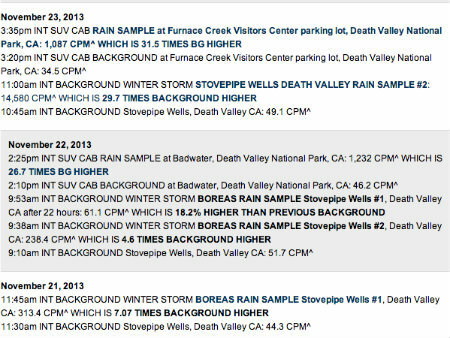 However, even if high radiation readings are not the reason for the suspension off race permits, it doesn’t mean that the extremely high levels of radiation in Death Valley National Park, and along the West Coast, aren’t legit and shouldn’t be taken seriously. 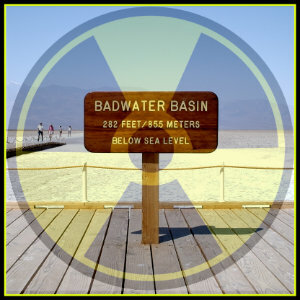 Hopefully, Death Valley National Park will come forward if the issue involves something as serious as high radiation levels within the park and be upfront with their reasons for denying the permits to Chris Kostman, AdventureCORPS, and other race directors. Transparency is often promised but more often than not we get opaqueness.